It is a totally unique race, different from everything you have ever done. It is competitive and physically challenging, it has a high prize money but it will still feel more like a party or a holiday than the traditional SUP Race. For example the race party takes place on the evening before the race at the cult party bar “Last Resort”. 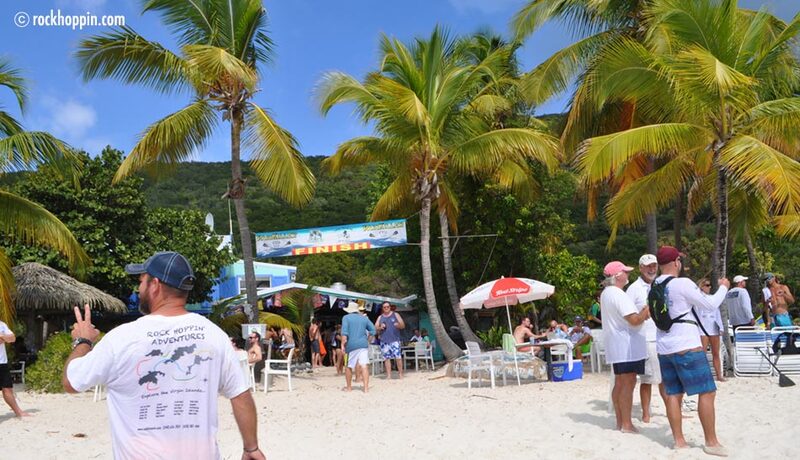 And at the finish line you will be awaited with Painkiller Cocktails at famous Soggy Dollar Bar. Well, this race will surely win the prize for the most spectacular finish area. More information on the 2016 Painkiller Cup is here. The report of the 2015 Painkiller Cup is here.